For two weeks, the length of her father’s vacation, they join an anthropology course set to reenact life in simpler times. They are surrounded by forests of birch and rowan; they make stew from foraged roots and hunted rabbit. The students are fulfilling their coursework; Silvie’s father is fulfilling his lifelong obsession. He has raised her on stories of early man, taken her to witness rare artifacts, recounted time and again their rituals and beliefs—particularly their sacrifices to the bog. Mixing with the students, Silvie begins to see, hear, and imagine another kind of life, one that might include going to university, traveling beyond England, choosing her own clothes and food, speaking her mind. Sarah Moss was educated at Oxford University and is currently a Professor of Creative Writing at the University of Warwick. Her books include the novels Cold Earth, Night Waking, Bodies of Light, and Signs for Lost Children and the memoir Names for the Sea: Strangers in Iceland. "[Ghost Wall] compresses large and urgent themes—the dangers of nostalgic nationalism, the abuse of women and children, what is lost and gained when humans stop living in thrall to the natural world—into a short, sharp tale of suspense. The way Moss conjures up the dark magic and vestigial landscapes of ancient Britain reminded me a little of the horror movie The Wicker Man . . . The novel’s feminism, though, felt utterly contemporary . . . I read Ghost Wall in one gulp in the middle of the night." "Sarah Moss possesses the rare light touch when it comes to melding the uncanny with social commentary . 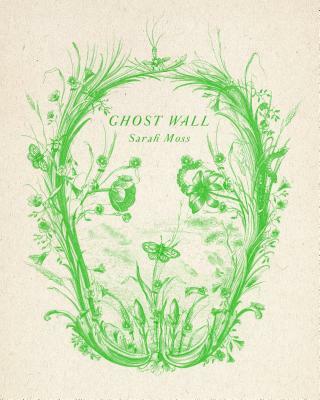 . . Ghost Wall is such a weird and distinctive story: It could be labeled a supernatural tale, a coming-of-age chronicle, even a timely meditation on the various meanings of walls themselves. All this, packed into a beautifully written story of 130 pages. No wonder I read it twice within one week." "Moss’ myth-like Ghost Wall isn’t merely a timely topical novel, but rather a timeless work of art." "A fascinating, horrifying look into the way in which . . . fixation on the past threatens our present and our future . . . Moss skillfully builds an atmosphere of menace and peril, making it so that I both dreaded and couldn’t wait to turn every page, simultaneously afraid and compelled by what strange, inevitable violence lay ahead . . . Spend an afternoon reading this marvel of a book, and then spend the next few weeks thinking about nothing else." "Remarkable, inventive . . . Sarah Moss unpacks the toxic patriarchy all without leaving the confines of a teenage girl's two-week trip to the remote northern edges of England." "With stark and haunting prose that perfectly captures the harshness of the conditions the group is re-creating, Ghost Wall explores what the past can teach us about the present and what the present can teach us about the past--especially when the two are not as far removed as we may like to believe." “Ghost Wall grabs you by the guts and never lets go. Dazzling." "Ghost Wall . . . is further proof that [Moss is] one of our very best contemporary novelists. How she hasn’t been nominated for the Man Booker Prize continues to mystify me – and this year is no exception . . . a gripping narrative . . . It’s an intoxicating concoction; inventive, intelligent, and like no other author’s work." "Ghost Wall, a slim but meaty book, is like nothing I have read before; its creepy atmosphere has stayed with me all summer . . . Moss combines exquisite nature writing, original characters and a cracking thriller plot to make a wonderful literary curiosity. It deserves to pull her out of the bog of underappreciation and on to the prize podiums." "Stunningly good, a tightly written, powerful book about archaeology and Englishness." "Moss truthfully conveys the way teenage girls make friends . . . In just 149 pages Moss does a remarkable job at building an engaging, textured world and Silvie is a likeable heroine. You root for her — and she might just surprise you." "Reading Ghost Wall in the context of contemporary Britain only serves to highlight the folly of wishing for the good old days . . . The book can be read as a Brexit fable, where seppuku levels of self-sacrifice are forged with lemming-like gusto . . . There is a spring-taut tension embedded in the pages . . . Moss’s brevity is admirable, her language pristine." "Moss slowly ratchets up the tension, much as the Iron Age people they are studying used to slowly twist a length of rope around the necks of the human sacrifices they made, up on the nearby moors." "[Combines] the components of a thriller with a nuanced understanding of history, its fluctuating interpretations and its often traumatic effect on the present . . . Moss’s sensual writing recalls the late Helen Dunmore . . . A bold, spare study of internecine conflict." "Characteristically intelligent . . . both subtle and devastating . . . Moss is the author of five acclaimed novels but in this short volume has, I believe, produced her best fiction to date." "The 'ghost wall' of the title becomes a powerful metaphor for the invisible boundaries that exist between different groups of people, not just in the past but also at the present time. Sarah Moss combines her research interests in food, place and material culture to good effect." "Moss’s finely balanced novel combines a strong sense of the natural world with a growing atmosphere of menace, interspersed with wry humour." "Sarah Moss is fascinated by bodies and isolation, and by bodies in isolation . . . Here, [she] is again drawn to an adolescent female body . . . Moss appears to collapse layers of history, to render skin and knife and rope identical across millennia. What provokes and perpetuates that capacity for harm, and what powers a mystical belief in its propitiatory value, remains eerily unclear, but no less urgent a concern for us than for our ghostly forebears."